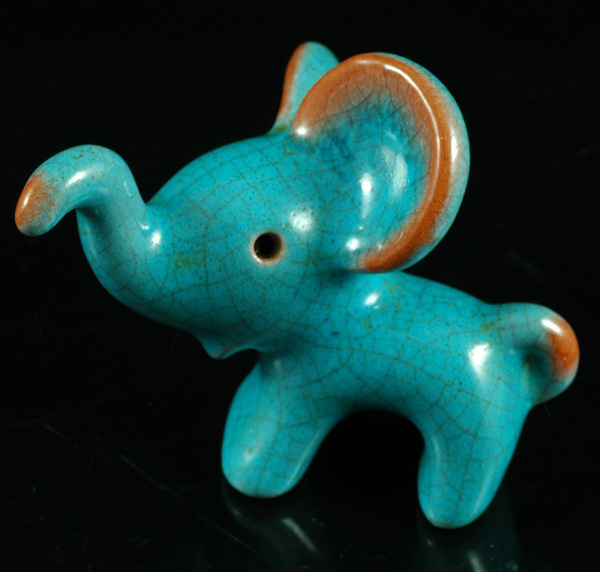 Rare Walter Bosse for Karlsruhe Ceramic (Austria) elephant (1956-1962). Blue majolica glaze over red brick clay. Super cute in perfect condition.